Nice pics and bikes guys. Unfortunately i'm down to one bicycle right now. I have some maintenance that needs to be done on the silver one, which probably won't be for a while. It's no problem because i actually prefer the white one as a commuter over the silver one anyway. These are pics at the dam that's not too far from my house. I changed out the studded tires for the slicks that were on the silver one. I also put on some fenders to keep myself and the bicycle clean during the wet weather. Sorry, I'm not too swift with my GF's Mac, I did a search but got nothing for posting pics. I wish I had pics of some of the loads I used to carry on my bike. Lumber lashed to the top tube was not uncommon. I did resort to walking the bike when hauling 4 X 8s, though. I'd clamp a 4' scrap of 1" X 2" on the handlebars, and balance the plywood mostly on the seat, steering with the handlebar extension, which also protected the brake cables. 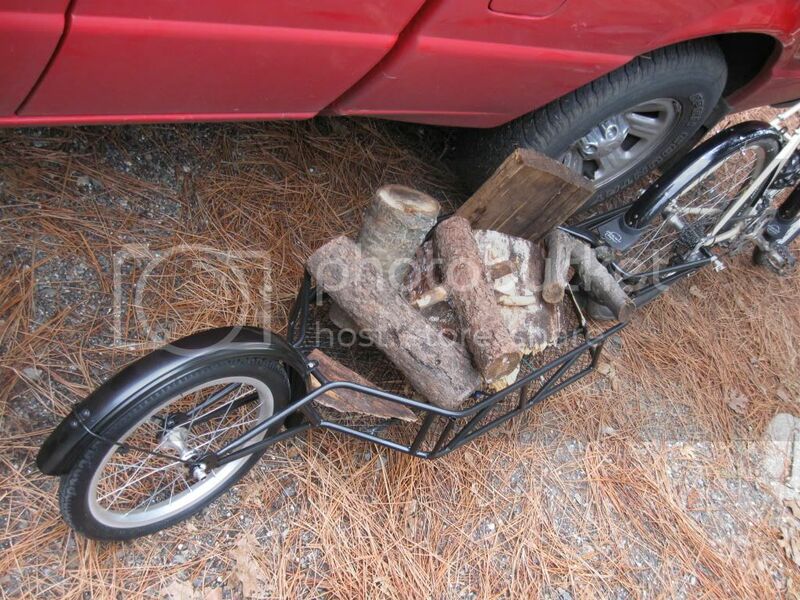 I actually plan on building a trailer, just for those trips to walmart/LBS. Getting the hitch right is the only hard part about do it yourself. You might check some manufacturers to see if they sell the hitch only. I think Burley used to do this. Unfortunately the bike is way harder to negotiate in tight situations with a trailer, surprisingly so at times. I live in a small town so it's really not an issue for me. I haven't started my car in a week, feels good.